So, I’m not going to lie to you guys, I’m hungover. It’s shameful, I had a few too many and now I’m feeling sorry for myself. Alcohol tends to make me feel very tense and anxious the day after so I couldn’t help but want an escape today. I decided it was essential to have a little pamper session and to fill you guys in on how I pamper myself and inevitably feel super relaxed afterwards. So, since my skin is needing some serious hydration I decided to use this Simple purifying cleansing lotion to take my makeup off. I put a small amount on some cotton wool and it is so effective. For this part I thought I would use a personal favourite of mine, the BlackBerry Bathbomb by Lush. I haven’t used one in ages but it never fails to impress me. 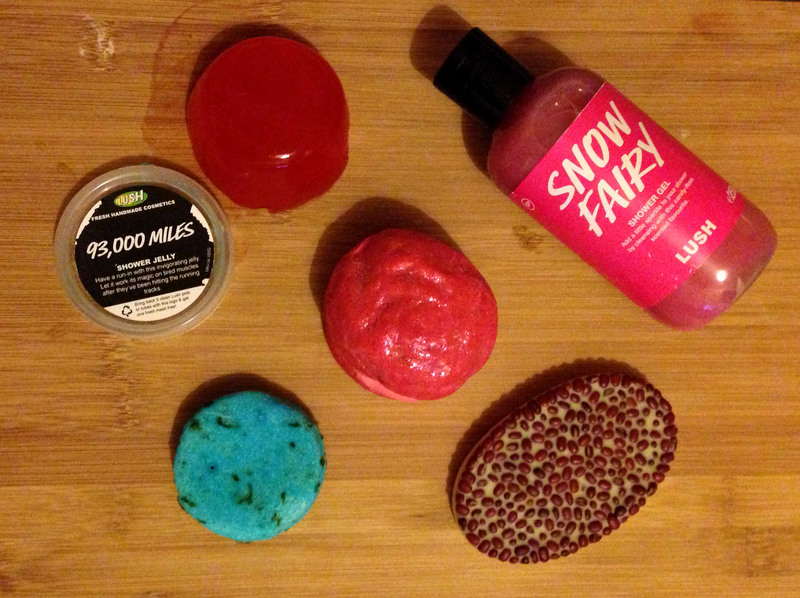 The smell is just so fruity and relaxing it’s perfect for a little pamper session. I also lit my new freshly cut roses Yankee Candle that my boyfriend gave me for Valentine’s day which just added to the lovely aroma. Enjoy the relaxing hot bath and let your muscles soak while doing what suits you! Sometimes I listen to an album/playlist on Spotify, or finish an episode on Netflix! Today I just relaxed and used my beautiful valentines soap that I reviewed in my last blog post. I literally can’t stress how important this is, taking make up off before going into the bath allows the skin to breathe and use the steam as a treatment for spots and stress. But, when you have finally dragged yourself put of that amazing bath don’t forget to hydrate your skin. I used the Nivea in-shower body conditioner after shaving in the bath and the for my face I used Johnson’s baby lotion. It’s that simple, I am in love with the smell of Johnson’s products at the moment, have no idea why but this lotion is so soothing and just something delicate to put on the skin and let it soak it up! For my hands I used Nivea smooth nourishing hand cream, they’re very dry at the moment and this is really effective, would definitely recommend. Valentines Product: Roses All The Way, Lush Soap! Hey guys, I thought I’d spend the day relaxing but I didn’t forget to review the amazing Rose-shaped soap that Lush brought out for Valentines day. I’m pretty sure there will be some of these left in store today and definitely online. So this beautiful soap has a Turkish Rose Oil scent to it and it is amazing, reminds me of the Jason and the Argan Oil shampoo bar and that is definitely one of my favourite scents. The idea for this soap was inspired by Alice in Wonderland, each soap was hand painted that’s why they have a white base. I think that is a nice touch and makes the soap that much more significant. The design is beautiful especially for Valentines day! So, I decided to try this soap out when I had a bath to fully review the product. The soap itself creates a really nice white lather which felt very moisturising on the skin. The scent was amazing when on the skin and really did stay when I came out of the bath. I never thought a soap could be so relaxing! Would recommend you grab one of these while you still can. 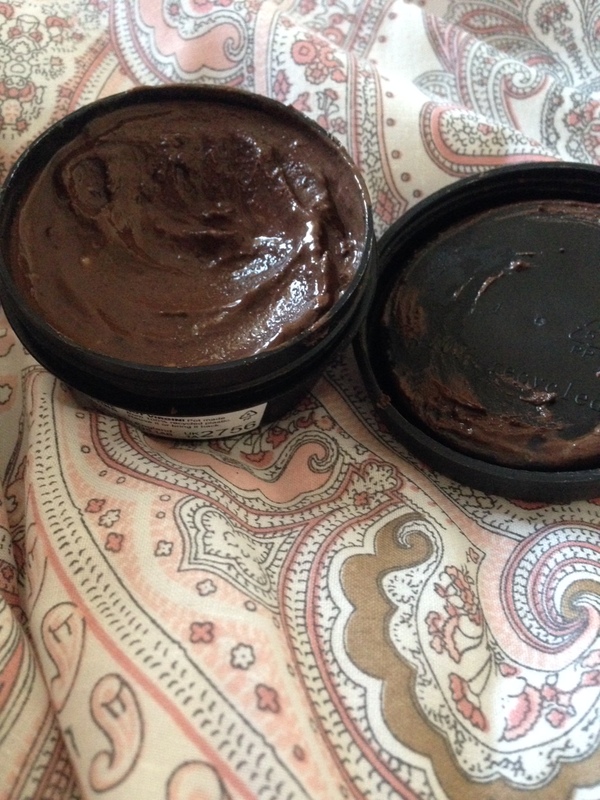 How to use/ review LUSH Henna!! So the other day my order finally arrived including my henna which I was quite excited about. I had read a lot about the alternative hair dye and since my hair is in a state at the moment I thought I would give the Rouge colour a go. Firstly, you’ll need to melt the blocks, for my hair I only used 4 and still had plenty left in the bowl. You do this by breaking the pieces up like chocolate, putting them in a glass bowl over a saucepan with some boiling water in it. Then, let it start to melt, stirring often, you’ll also want to keep adding hot water to the henna. It says a little bit on the instructions but really, I put a lot in to make the application that much easier. Then, when the mix is completely melted take it off the heat and set up the newspaper or cloth. Put the ultrabland or vaseline on forehead and ears to avoid stains! I’ve got to say I wish I had someone to apply it for me… this bit isn’t pretty. Apply the mixture all over the hair, like you would normal dye, it is a weird consistency and a lot will drop off onto the floor so make sure you have newspaper! After you are happy with coverage cling film head to make sure that you get a really red outcome. This also made sure that the henna didn’t get everywhere. So, then you have to wait 1-3 hours depending on how red you want it. I waited two hours but if I do this again i’ll wait longer. Although this is a long time it does give the hair a nice treatment with all the cocoa butter the henna has in it. Finally, remove the cling film and wash off with hot water. This bit is really messy and took a while. The henna carries on developing for 24 hours so I didn’t see the difference straight away. I definitely see it now and my hair feels so nice! Overall it is a messy process but I’d say it’s a good one if you don’t fancy using normal hair dye. LUSH REVIEW: Golden Wonder Bath Bomb!! Right need to get the hang of having a routine of blogging! 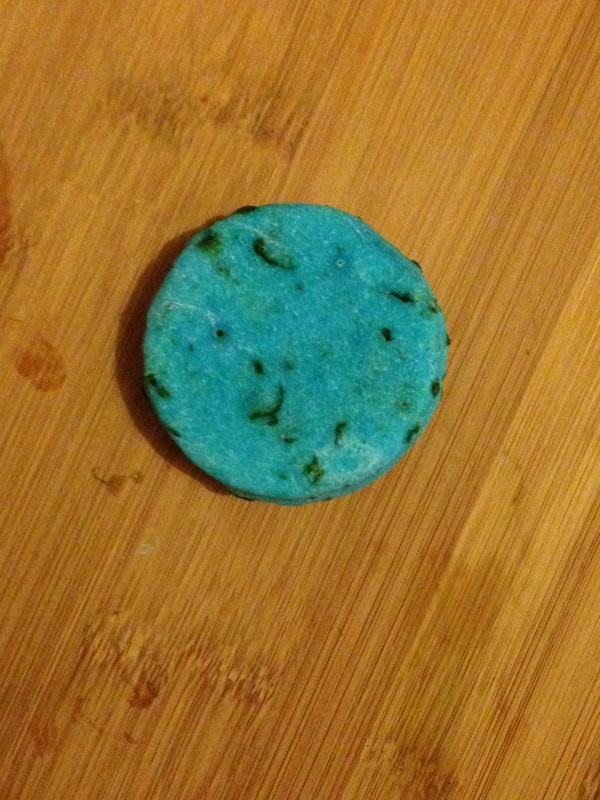 Anyways, today’s post is about the most underrated bath bomb going! I think that when you’re at lush a lot of people look over this one and don’t even think about how great it is. The golden wonder is a citrus fragranced bath bomb which is shaped like a cute Christmas gift. From the exterior; as you probably guessed from the name it is gold and sparkly but it actually in cases loads of amazing blues which come to life in the bath! It actually has a similar affect as the bath bomb frozen as it has a lovely shimmer to it which will leave you all sparkly! 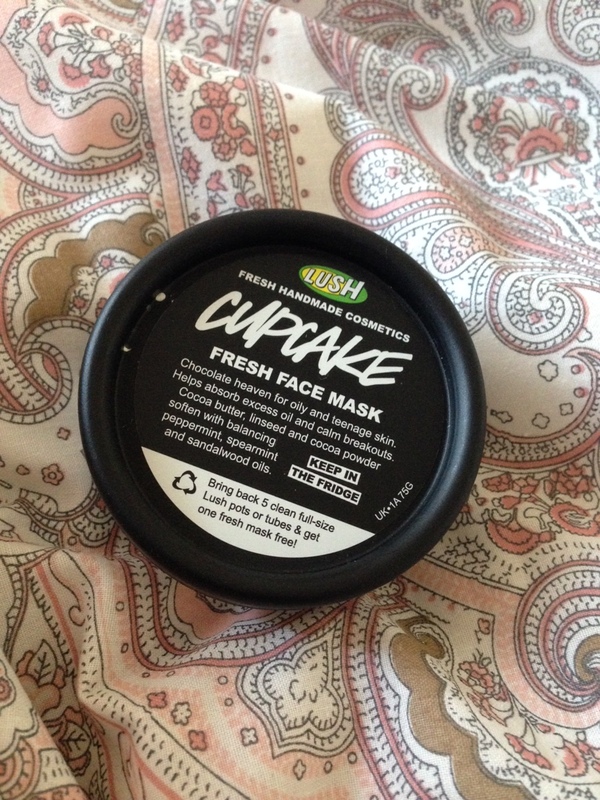 LUSH REVIEW #2: Five Favourite Products! So since everyone enjoyed my previous lush post I thought I would do another one since I adore the brand so much. These are my top five favourite products at the moment, this probably will change but I would say this is a good range of products for anyone who is just starting out or hasn’t tried them before as they’re all very nice! I’ll order this from my least favourite to my most favourite to make it interesting. So my boyfriend being the lovely person he is, decided to buy me this as a surprise when he was visiting me and I had a bad back. If you’ve never came across a shower jelly before, you basically either break a bit off and use it like you would a soap or go for it and use the whole thing as a soap. Its main ingredients are Eucalyptus and Peppermint Infusion, Cinnamon Leaf Oil and Peppermint Oil. Eucalyptus is used to aid fevers, aching joints and for skin problems as this product suggests on the packaging, it is really good for those who work out to have in a after work out shower or even if you just have an achy back (like me). Also, the woody/spicy aroma of the cinnamon leaf oil works to fight fatigue and also is used to stimulate the skin and improve circulation. 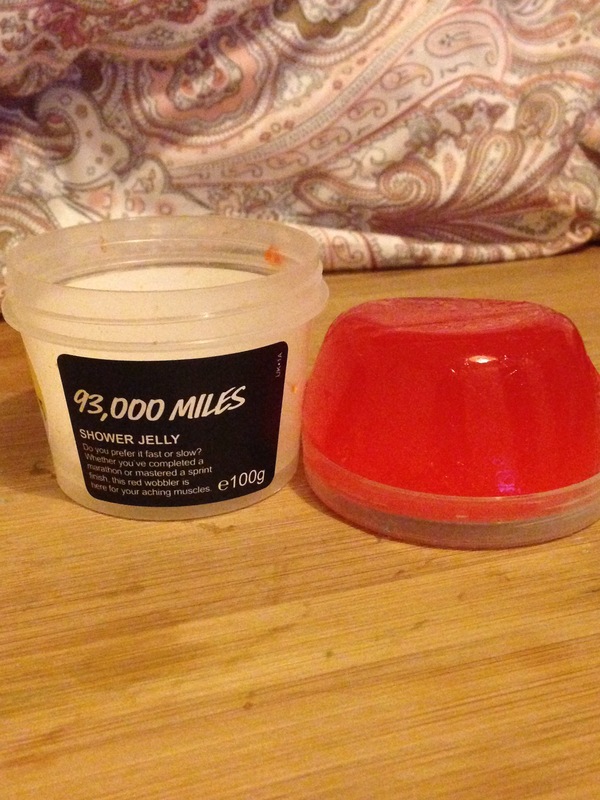 This little jelly does more than just wash, it actually does help when you’re feeling down. The only thing that puts this one at the bottom of my favourites is it has a very particular smell, the eucalyptus is often used in throat lozenges for its herbal benefits, which is why the smell reminds me of herbal tablets. Overall, I would say that this shower jelly does help with muscle pain, especially after a hard day and allows me to go to sleep not aching! So this one I bought for the amazing Rose Jam scent that lush have put in a lot of their products, it is the most sweet and floral scent ever! I put it in my university room and seriously it has made the whole room smell perfumed, it’s so nice. So you use this sweet bubbleroon by breaking off a part and crumbling it under the running water of a bath to make amazing and sweet smelling baths! The main ingredient which greats the beautiful smell is Rose Absolute, this is used by aroma therapists to restore balance and lift mood so is good if you’re having a hard day. I’ve put it here because I absolutely love the smell and it is the best thing when I want a nice hot bath to help lighten my mood. So this is another one that my boyfriend has to be given credit for! It is one of my all-time favourites now because it is so nice and eases so much tension in my back. So the best way to use a massage bar is warm it up a tiny bit and then just massage it into your skin, with this one, use the darker side as it works like deep heat and stimulates the circulation. The peppermint and cinnamon oils work to help the aches and pains also so this one is amazing for me. However, if you don’t like the smell of cinnamon I wouldn’t recommend as this one has a very strong scent. This is amazing though and I really need to get another one as I’ve used most of mine already! This one is looking a bit sad in the picture because of how much I’ve used it but it’s because it is amazing for my hair. You use shampoo bars by creating a lather in your hands as you would a soap and then rubbing it into your hair, or by just scrubbing the bar on your head which is always fun! The Seanik shampoo bar is good for very flat and fine hair like mine as it creates natural waves as if contains nori seaweed, sea salt and mimosa absolute. My hair actually feels bouncy for once in my life and with this, I use less conditioner as it is very nice to the hair and makes it feel softer too. It has lasted a long time as well, I’ve has this one for about 5 weeks and wash my hair probably 5 times a week and it’s still got a normal shape to it and a lot more washes to go! 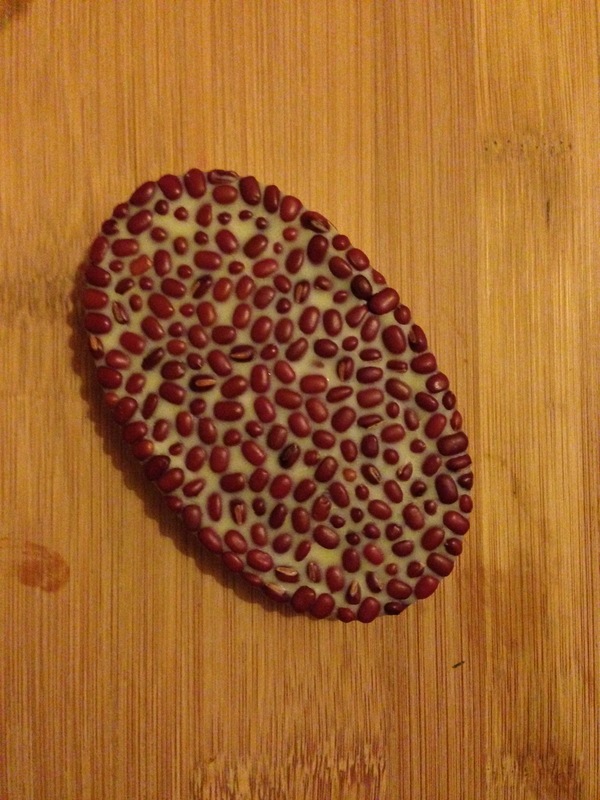 A really good, fresh-scented shampoo bar. 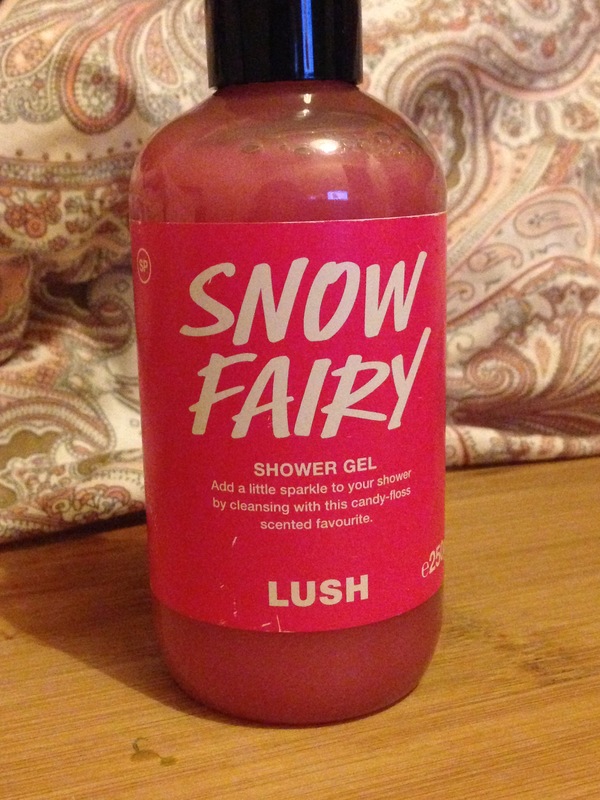 Okay, this will always be my favourite product, a lot of people stock up on this when it comes to Christmas because it is such an amazing scent. It smells of candyfloss and honestly, makes me so happy when I use it. It’s just an uplifting smell and it stays on you for absolutely ages, the actual shower gel is very cleansing as well! I just can’t say any more about it really, it’s just the best.